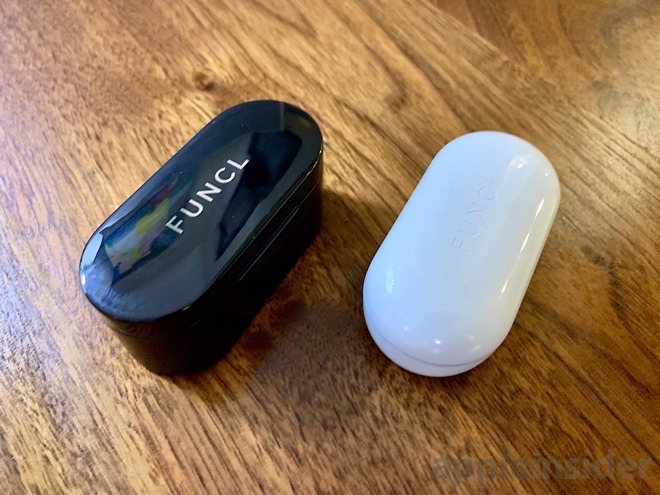 Launching on Indiegogo, the Funcl (pronounced like a combination of "fun" and "uncle") W1 and AI are two pairs of truly wireless earbuds that prove how far we've come in the last few years when it comes to the development of wireless headphones. We tried out both sets, with the W1 being the cheaper of the two, and were very impressed with what was offered in such an affordable package. Both include charging carrying cases and feature automatic connections when removed from the cases. The W1, which came in a white charging snap case, a micro USB cord and a few sizes of silicone ear tips has Bluetooth 5, 4.5 hours of battery in a single use with three additional charges provided by the case (18 hours total runtime), AAC support and touch controls for you music or answering calls. For 20 bucks, that is solid. Audio quality was more than passable, though of course we aren't comparing these to Bose or Master & Dynamic. Looking at the "expensive" model, the AI, there are even more benefits such as support for AptX — though Apple users don't get to take advantage of the codec — longer battery life with 6 hours in the buds and three more charges in the case (24 hours total), lower 60ms latency (perfect for gaming), CVC noise cancellation and a virtual assistant. 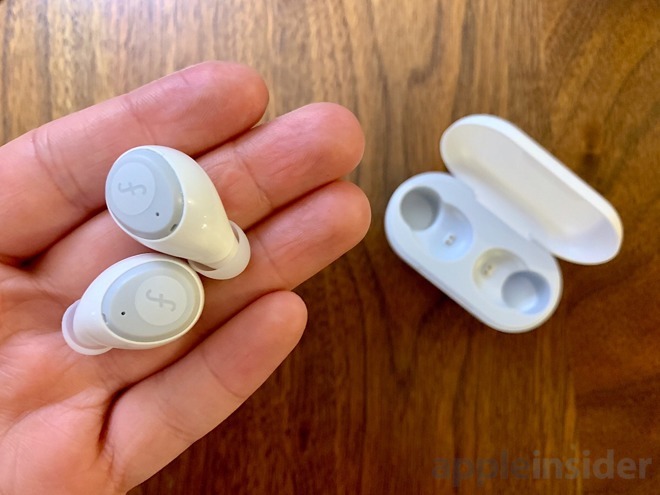 The AI sport a design more akin to the AirPods, sticking down a bit in each ear. Those low prices come with plenty of trade-offs to consider, but many will overlook them for the price. First thing we noticed was the less than stellar build quality of the cases. 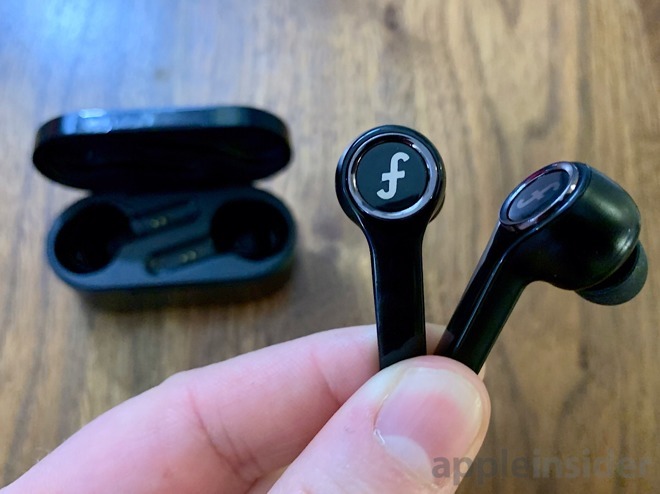 They feel fine, but certainly don't have the satisfying snap found with the AirPods. Rather, it feels quite cheap. 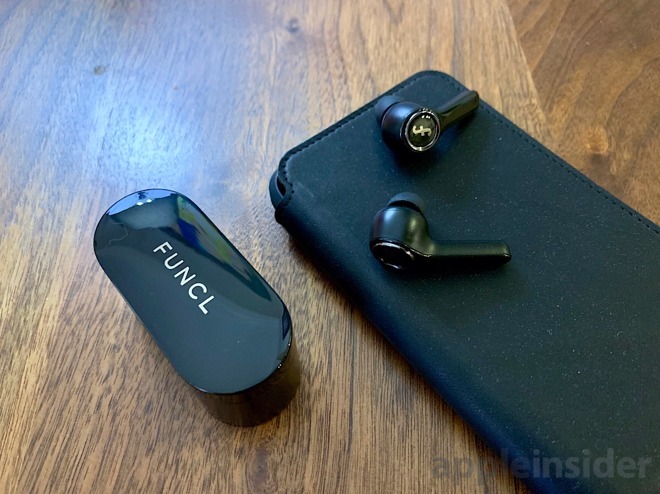 They also charge over micro USB rather than the emerging USB-C. One thing we noticed that was just odd is that on the AI model, the earbuds are actually swapped in the case. The right earbud is positioned to the left and the left bud is position to the right. Again not a deal breaker, but an oddity. Both the W1 and AI are available now on Indiegogo with fulfillment expected to start in December. The W1 will run $99 after the campaign or $19 during. The AI will run $159, or $54 during the campaign. AppleInsider readers, though, can pick up a pair for only $49 if you are one of the first 100. Remember, this is a crowdfunding campaign and you are helping this product get to market. This means there are some risks involved in backing the product and no guarantee, but as we've got our hands on working production models chances are good you will get what you back.